Jane has over 35 years’ workplace, facilities management, FM education experience. She has implemented and overseen a significant range of FM services and new building projects for a variety of prestigious organisations including CIL, AST Europe, CPC Europe, Boots plc, BBC, BA, Winchester University, and Institute of Education; with latter years as an educationalist for BPP Professional Education, CTP and University College of Estates Management. Finalist of the former BIFM Journalist of the Year Award, one of the Top 20 Influential Women in FM in 2007, PFM 2007 Winner of Partners with People with JCI GWS FM Academy, and author of best selling Facilities Manager’s Desk Reference textbook, Jane has made a signification contribution to the FM profession. 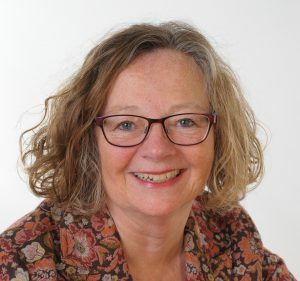 She has been an IWFM Awards judge for many years, serving on IWFM Home Counties Region committee and the founding chair of Education SIG, and is an active Fellow of IWFM. Jane is passionate about helping others to realise their career potential in FM. She has worked with many hundreds MOD service leavers in their transition to civilian roles since 2004. Setting up her own tutorial business, FM Tutor & Associates Ltd, she has tutored the winning Student of the Year from 2004 to 2010; and the first winner of the new Strategic Learner of the Year 2018, Jake Drummond.